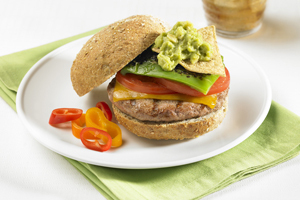 Wholly Guacamole and Jennie-O Turkey Burgers are a winning combination! : Giveaway! You are here: Home / Archived Content / Wholly Guacamole and Jennie-O Turkey Burgers are a winning combination! 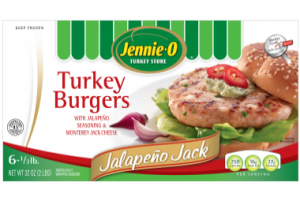 Wholly Guacamole and Jennie-O Turkey Burgers are a winning combination! Giveaway! I was selected to be a part of a promotion with Wholly Guacamole and Jennie-O. I’m already a big fan of both, so I was quite excited! I received a package with a few cool things like a Wholly Guacamole T-shirt and a Meat thermometer. But, my favorite were the free coupons for Wholly Guacamole and Jennie-O. So, off to the store I went to buy my favorite Guacamole and some Jennie-O Turkey Burgers. 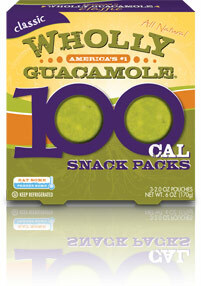 I quickly selected the Classic Guacamole 100 Cal Snack Packs and the Spicy Wholly Guacamole Dip. I had a bit of search at my local Walmarts but finally found the New Jennie-O Turkey Burgers Jalapeno Jack. Let’s just say they were worth the search! I already like the regular Turkey Burgers but this new one has just the perfect spicy kick! What is even better is combining Wholly Guacamole and the Jennie-O Turkey Burgers! Just simply delicious! This recipe is the best! You just have to try it! Always cook at an internal temperature of 165 degrees F.
Would you like the opportunity to try to win your own Wholly Guacamole and Jennie-O Prize pack? You must be a subscriber to enter! Next, check out Eatwholly.com and leave a comment below telling us what recipe you would like to try! Next, go to Wholly Guacamole Facebook Page and “like” them and then head over to Jennie-O’s Facebook page too and “like” them. Deadline to enter is March 20th, 2013. One winner will be selected from all entries and will win a prize pack which includes free coupons to try both brands. sounds yummy! I do love Wholly Guacamole! This combination sounds delecious together! I haven’t heard of the jalapeno jack patties. I’m definately going to keep a lookout for these at my local Walmart . My tastebuds are watering! yummy! I think I would just love to have one of these turkey burgers! wow…too many of these recipes! I like to try Picadillo Nachos recipe . 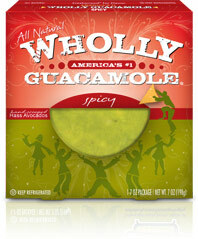 Liked Wholly Guacamole Facebook Page . turkey burgers with guacamole and sprout are so good. Is this contest over? I saw the “Congrats Bandy” post….